Just because a shoe is laced a certain way when you buy it, that doesn’t mean you have to continue lacing that way. 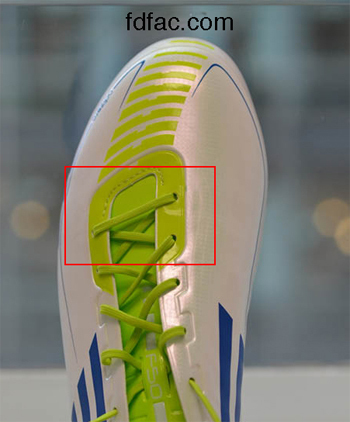 This Adidas F50 Adizero TRZ FG soccer cleat was laced using an over-under method which limits the degree of forefoot snugness you can attain, potentially causing excessive forefoot movement, calluses or blisters. A better option is criss-cross lacing which not only makes the shoe easier to lace but also improves fit. 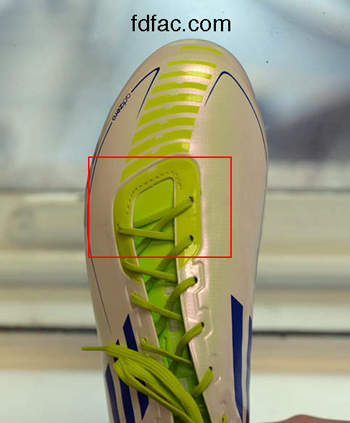 The following images show the differences between the two lacing methods. This entry was posted in Shoe Fit, Shoe Review, Sport Specific Shoes. Bookmark the permalink.